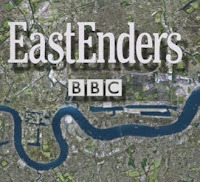 EastEnders' executive producer Diederick Santer has confirmed that the show is facing budget cuts due to the credit crunch. 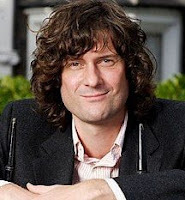 Reports suggest that the Walford-based soap must slash costs by £2.5 million under a new five-year plan which has been implemented by the BBC. According to The People, the show's chiefs have been instructed to avoid shooting scenes on-location and cut back on the use of explosions and other stunts in storylines. "We have been told to save five per cent over five years," Santer told the newspaper. "We are trying to save where we can." He added: "We hope talent won't suffer." The newspaper also claims that a move to Buckinghamshire's Pinewood Studios is on the cards once the BBC sells the current Elstree set. A BBC spokesperson insisted: "Every programme has to make savings, but viewers can be assured that every effort goes into making sure they are still exciting and high quality." EastEnders scoop up Bubbles Awards! Tointon to return to Strictly? Danny Dyer for 'EastEnders' role? Palmer not invited to 'Apprentice' party? Danniella in return to Enders?